Cards Archives - Page 42 of 42 - Pebbles, Inc. Nothing says Pebbles, like bright, fun, cheerful and today, Design Team Member Laura Craigie knocked it out of the park with her colorful handmade Christmas cards. 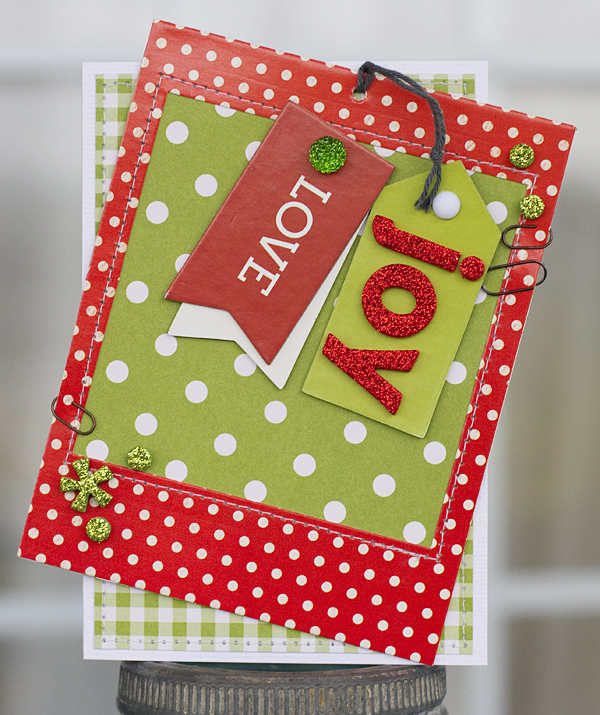 Both of my cards today are built around two of the photo frames from the From Me to You line, which worked perfectly for Christmas card with their red and green colors. 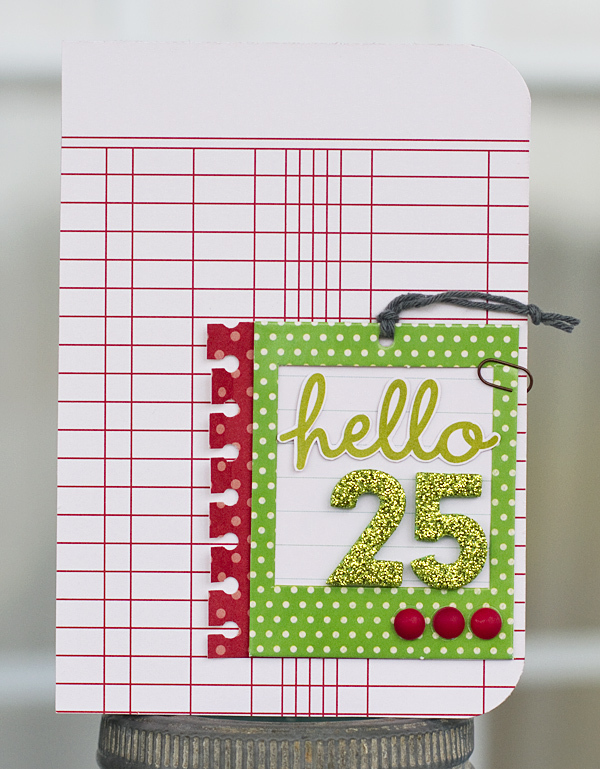 For this card I used the large bold frame filled with patterned paper and adhered it to the card base on an angle for a fun unexpected detail. 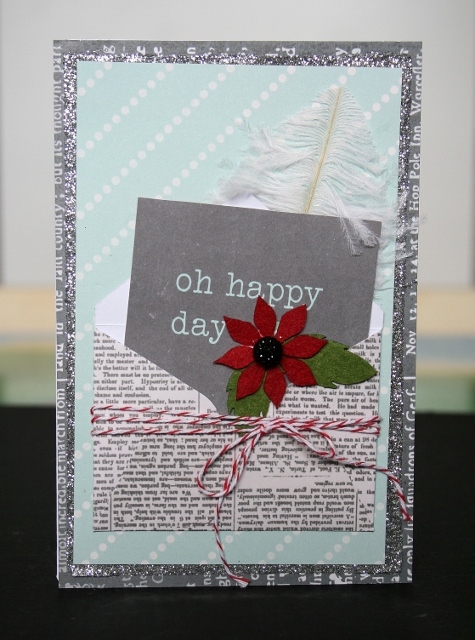 The rest of the card is made with supplies from the Basics line that match perfectly, and I thought the glitter thickets and accents made the card that much more festive. 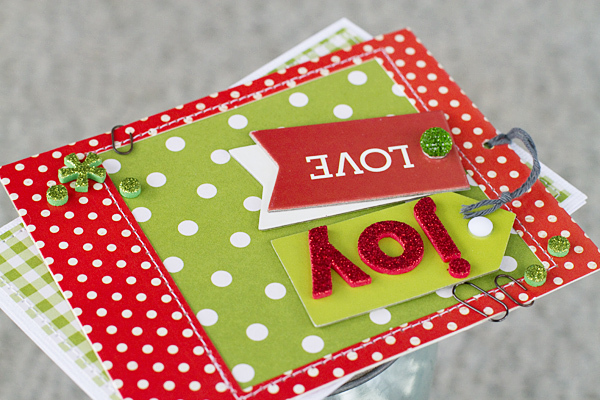 For my second card I went in a more simple direction and kept every centralized around the small green photo frame. 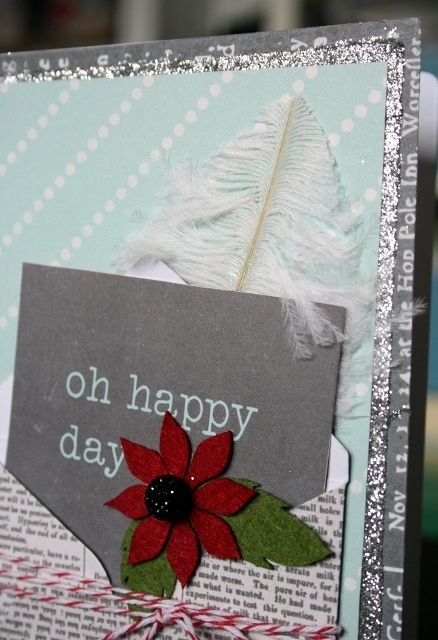 Again I used papers front the Basics line paired with glitter thickers. 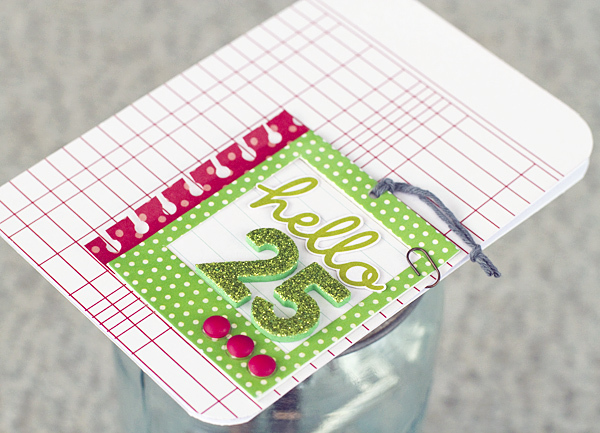 To finish off the sentiment I fussy cut the “hello” from a journaling card. 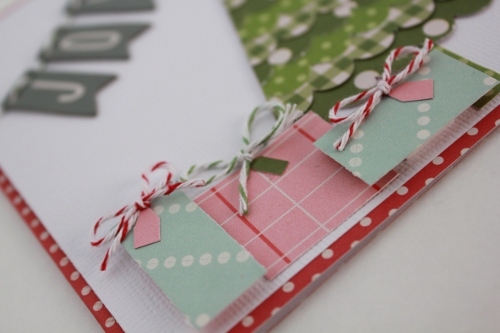 We’re continuing the week with more handmade holiday cards. 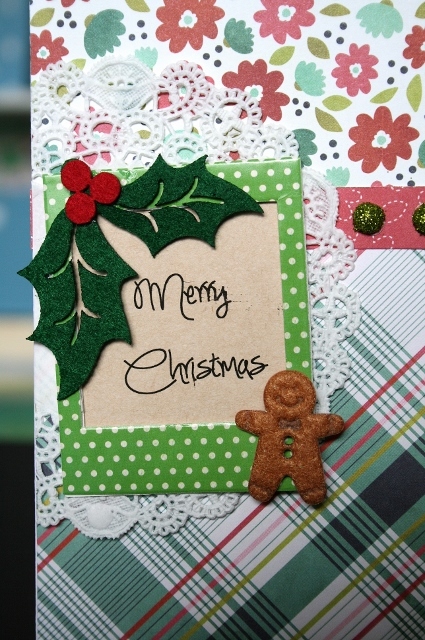 Today, Wendy Antenucci is showing us a couple of lovely Christmas cards created using From me to You and Front Porch. I love the mini envelopes that were apart of the From Me to You collection and thought it made the perfect card with the addition of a sweet little sentiment from the Notes paper. Twine is a must when wrapping gifts and the addition of the felt flower allowed me to cover the spring flowers and add a little Christmas touch. I added the feather to portray a pen and writing a note to a dear friend. I finished my card with a touch of glitter to really make it sparkle! 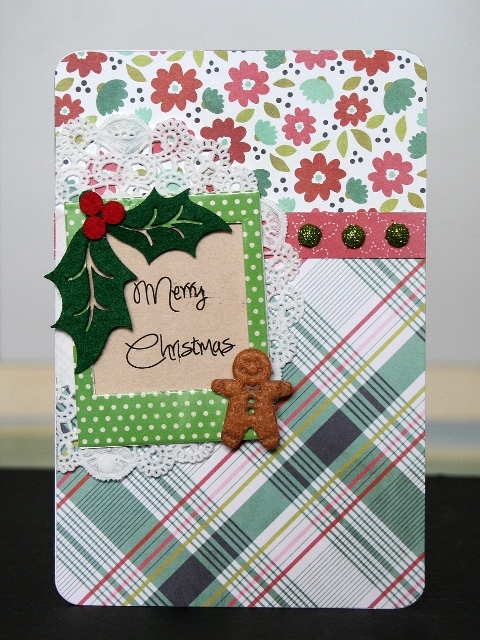 Pretty plaids and glittery dots just shout Christmas finery don’t you think? 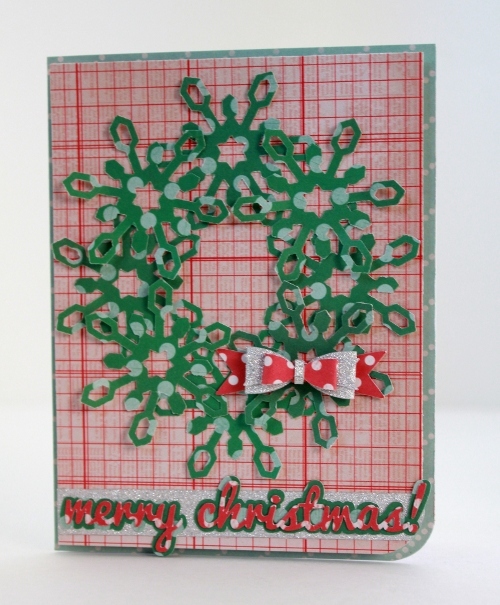 The frame with a few Christmas goodies and a sentiment finish up the card with elegant charm. 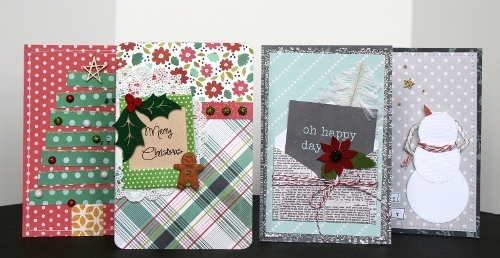 Stop by my blog, http://antenucci.blogspot.com/ to see the other two cards I’ve made using the From Me to You and Front Porch collection! We’re very excited to announce that American Crafts will once again be holding it’s annual warehouse sale. 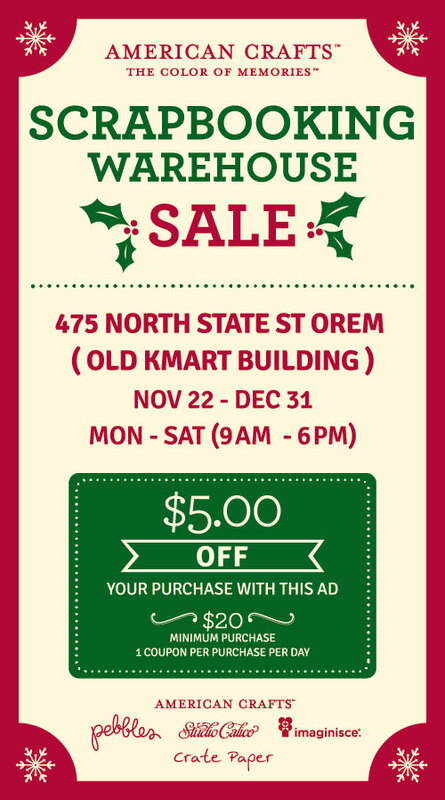 If you live anywhere along Utah’s Wasatch Front and love Pebbles, this is a sale you don’t want to miss! We’re continuing our Christmas card week with a fantastic selection of cards from Design Team Member Samantha Taylor. You don’t have to have Christmas themed papers to spread a little holiday joy. 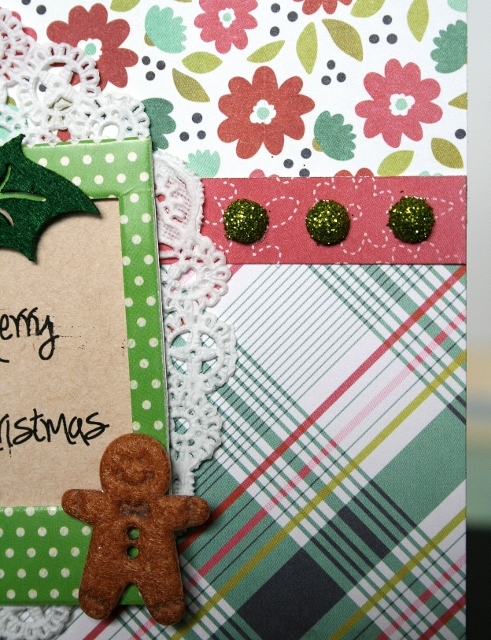 I used Pebbles Basics and Pebbles From Me to You collections to create my mix and match Christmas cards. 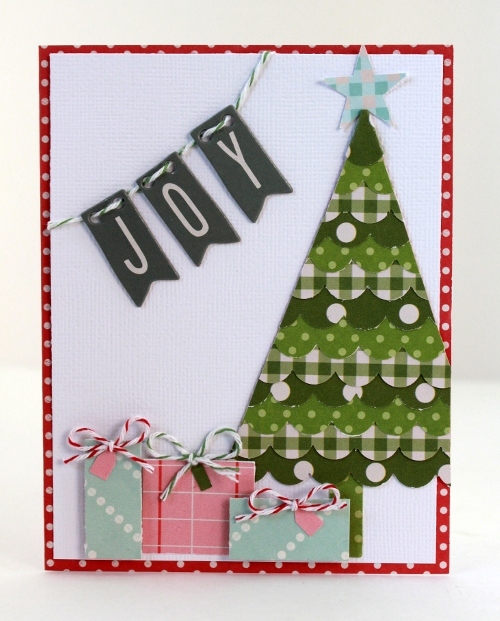 Using The Knock Out border punch from American Crafts I was able to turn strips of Leaf paper from the Basics Collection into a Christmas tree. While bits of From Me to You made perfect little gifts for under the tree. 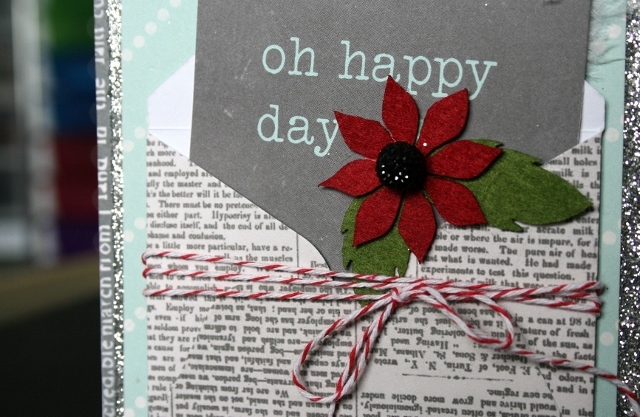 For this card I layered up die cut snowflakes in the shape of a wreath.